A Bone chilling ice cube tray! Chill your beverages to the bone! 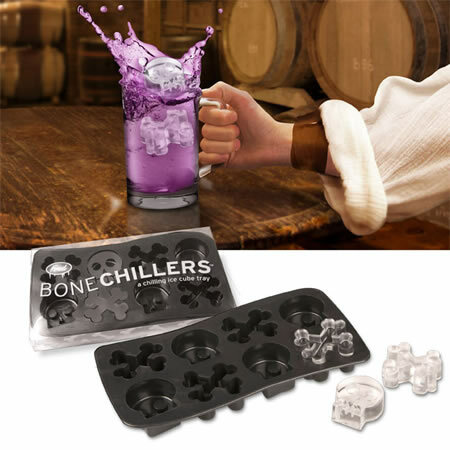 Fill and freeze our Bone Chillers tray and you'll create an icy array of skulls and crossbones that'll have everyone's timbers shivering. Clear, peggable, recyclable display boxes.